How My Childhood Of Hurt Helped Me Discover and Unlock the Secrets of Unconditional Love. 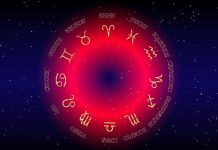 Who’s Really Responsible for Your Pain – and What If Your Twin Flame Was Perfect For You All Along? Today’s message is going deep yet again. For a while now, I’ve been guided to write this to you but I was unsure because I didn’t want to trigger sadness. But it’s kept showing up in various ways. Now, I need your soul to be there with you while you’re reading. I’m talking to you, your earth self but I need your soul to be on your team today and open your heart to these words. 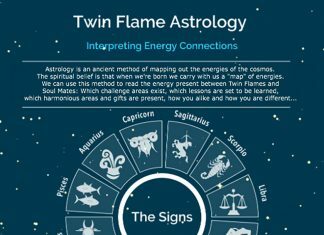 What if your Twin Flame is the perfect person to love you, exactly the way they are – but your expectations are skewed by cultural and societal perceptions? What if it’s just about lifting the veil to “see” it? We grow up being fed beliefs and perceptions about what other people are supposed to be like. But for Twin Flames, the truth is we planned this together. Nothing is an accident. You and your Twin Soul pre-engineered yourselves before coming to earth. It’s why you’re so irresistible to each other. We are, as sovereign souls awakening, being asked to learn to detach from the human stories of what women and men are “supposed” to be like. I already hear some of you crying out but what about human decency? I do understand. I’m not saying to accept someone hurting you. But unlocking the surrounding perspective can really begin to transform your situation. If that’s the case for you, that your Twin has hurt you – please read this. It will help you understand and heal. And make sure you begin using the Free Twin Flame Help Kit and the energy cleanse tool as it really has worked miracles for so many Twin Flames! What if everything was meant to happen this way? What if the Universe was showing you care all along by leading you with prods here and there back to Love? What if your Twin Flame was loving you with their hurt? What if YOU were the person controlling the whole show? What if any problems were engineered specifically by you and your Twin Soul in order to at some point prod you to action? To embrace your divinity? To take action and be the creators you came here to be? When we begin to embrace the gift in suffering, we flip reality on its head. We begin to morph what we attract from others and from life. My old pain and experiences are why I’m here with you today and why I’ve been the perfect person to help and guide Twin Flames through Ascension back to Love. I believe I am here on this planet for love. Today, love is my reality. But I grew up in a home with very little love, very little joy – not because my parents were terrible people, they were in the typical human pattern of doing things. Stress, struggle. And my father carried heavy baggage from growing up in a children’s home. He never spoke about it, but it had obvious effects. The holiday season has often been a challenging time for me. Christmases growing up were filled with hope and excitement followed by disappointment as I desperately tried to make him happy to little avail – he had shut his heart a long time ago. Handing him my handmade child gifts meant watching for the rest of the day as they sat unopened on the table. He had never wanted a child. I know now, it was because his own inner child was so badly hurt. He found it hard to even be around children, so he put up a wall. Because I didn’t know any different, I went on with my teenage years and early adult life thinking this was normal. That happiness was a lie. That love didn’t really exist. That life was hard and disappointment inevitable. Not so many years ago I was struggling to find meaning in life. Depressed. I’d lost my job and was living in my parents attic. One night my Twin Soul appeared in a dream and activated my Heart Chakra with Unconditional Love – beginning this whole rollercoaster of a journey. Triggering me with love to awaken spiritually. To the truth. I can barely describe to you the feeling, it was as if my heart had been lit up with pink love glowing as big as the Universe. I was home. Finally home. It felt as if everything was OK in the whole world, finally. It felt like nothing mattered except the feeling and us together. I woke up with the biggest smile on my face, wanting only to dream more and more with him. If I could go back to myself three years ago at the birthing stages of Awakening, crying every day at the overwhelming emotions and turmoil going on inside me as the old baggage of ancestry and the past brewed like a storm to come up, I would have been dumbfounded to see myself here, now. Complete transformation. Blissful love and lightness of being. Expansion and change beyond what I had ever imagined. I called out to the Universe for it, and I was answered beyond my wildest dreams. As I followed the calling forth, through energy healing, metaphysics, intuitive studies, sacred ancient texts and deep psychology I learned how to unearth the light within and how to banish the shadows I had inherited and lived with since before I was old enough to walk. With the tools I was guided to, my life began to transform, more and more. And I had so much baggage to deal with but I’ve gotten through it – it got easier and easier and my life began transforming around me the more I cleared. I know that still, this is just the beginning. Now begins “real life” – life as an awakened soul, centered in love within myself and with my Twin soul in harmony. I wish so much for you to experience the same. We are all here to love, always remember that. Center into love and you will discover life morphing into a more supportive, wonderful experience than you might have dared ever to hope for. There are gifts in everything, no matter how hard. If I personally had never experienced an unloving home I would not be able to assist thousands of Twin Flames like this. With all the baggage I had from my upbringing, I understand. You see, as souls we want to understand in a different way. I chose my upbringing for a reason and you know what? My father, who was born out of wedlock in the 1940s, grew up in a children’s home and didn’t even know the truth about who his father was until he was 15 – discovering that his mother hadn’t just abandoned him, she’d lied to him all his life – then left everything he knew to become a sailor just to escape the past… He chose all of it. And with what I know now, I am so proud. Brave souls choose to experience hurt. I am so grateful that this soul showed me why people live in hurt. That he was a guiding presence in my life, to help me learn. To help me understand why people shut their hearts to love. Because as a soul I wanted to understand why human beings live in conflict, hurt, suffering. Not just in theory but in practice, real life living it skin flesh and bones. To be submerged in the human experience, to have that running through my veins as I was born blood and genes from his experience and all the other ancestors’ pain. So I chose him as my father, to grow up not feeling love. So what in YOUR life might be preparing you for your “mission”, for your “real life”? What has happened to you which despite all the pain holds within it the seed of a beautiful adventure? Because within any problem there is the seed of its solution. So many Twin Flames and Lightworkers are here as answers to prayers sent out by humanity. For more love. So to bring more love, many if not most engineered to experience the blocks to love as deeply as possible. If things are hard right now, it’s serving to light up blocks and negativity, showing what needs to be cleared and adjusted for you to align with love and live in love. Any lesson is there to be a guiding point. I like to use the analogy of a plane flying. Did you know planes don’t go in a straight line? They actually zig-zag. They fly for a while straight, then they correct course and fly in another direction. All the while centering on the path, the middle. But it’s always a zig-zag. Going too far, correcting course. And they always get to their destination. You are perfect for your Twin Flame and they are perfect for you. Feel into this. 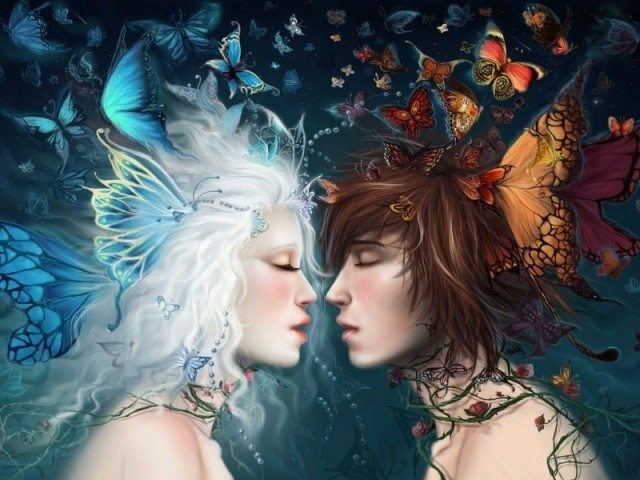 If your Twin Flame were less of who they are, would you be as drawn to them? Most likely not. The traits you find deplorable, repulsive, negative – they are expressions of the human energy, hurt and baggage your Twin has taken on in life. Fear, lack, shame and so on. It’s not the truth about your Twin Flame. It’s the baggage that’s coming up for a reason during Ascension. For you to clear it. Whatever work you do, benefits your twin too. You created yourselves this way for a reason. You are irresistible to them. If there is separation between you right now there is fear involved. Always. This is the message from spirit. Separation is always grounded in unconscious fear. So clear the fear. And if one of you are in an unfulfilling or controlling relationship with another, cord cutting is essential. (We go through cord cutting in all the energy sessions here, and in the full Vibrational Alignment Program). Love your Twin from the inside out and they will blossom into the highest version of themselves. Maybe not overnight but it will happen. When you connect with your twin in Unconditional Love, even if it’s in spirit and not in person – the two of you are transformed. Melting away resistance, fear, shame and all the lower energies. Helping you shift into love and harmony. 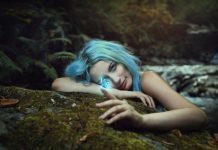 I was this week shown by spirit that my “mission” with the Twin Flame collective is at an end – my soul contract with the collective is completed – and that I have provided all the information, methods and assistance needed for the Twin collective to reunite in Love, through all the articles on the blog and the energy sessions. I was shown that any work I do from this point on is my choice. With all my love and deepest respect. I honor you as a soul of light. Don’t forget to honor yourself as well, you are so valuable, so loved. Want more? To discover the methods that got my Twin Soul and I to Union within 18 months of our first encounter, have a look at the Vibrational Alignment Program for Twin Flames. You can also read about the amazing experiences other Twins have had with my methods. Alternatively you can try my Free Twin Flame Help Kit which contains energy clearings from the full program! 2017 is set to be a year full of transformations. Keep an eye out because this year we’re giving away the forecast for next year – only to newsletter subscribers – for free!